Up to fifty percent of financial forensic services are performed in divorces, or in family law business valuations. Providing the first definitive publication on family law for accountants, this book addresses topics unique to family law accounting, tax, valuation and practice. The coverage begins with pre-engagement of the client and proceeds through to trial and preparation and presentation. Sample checklists, work papers, and trial exhibits are included. 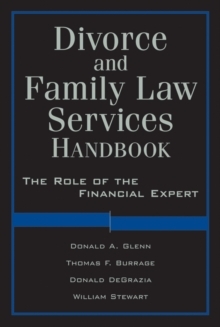 CPAs and attorneys will benefit from this handbook s tips on providing financial services in the family law arena.